When crafting a marketing strategy, many people consider creating business pamphlets. These unique handouts can offer critical information to bring in potential new customers. Here are four pieces of advice to help you use these tools effectively. What does your company offer? Create a list starting with the most-requested options. For example, an auto body shop that specializes in dent repair should denote this fact in clear, bold font in the body of the pamphlet. Then, move on to marketing lesser-known offerings like headlight repairs or wheel alignments. It’s likely that customers who read these marketing materials will want to get in touch to set up an appointment or learn more about the company. Facilitate this exchange of information by prominently featuring the business contact information like a phone number, email and website on the pamphlet. People like turning to social media pages to learn more about a business and what they have to offer. Since many people are social media savvy, they can browse through photographs, read customer reviews, and reach out to the owners on one platform. Share your usernames on all marketing material to ensure that people can find you online. Additionally, you can build a rapport with your customers by offering coupons and giveaways to your followers. 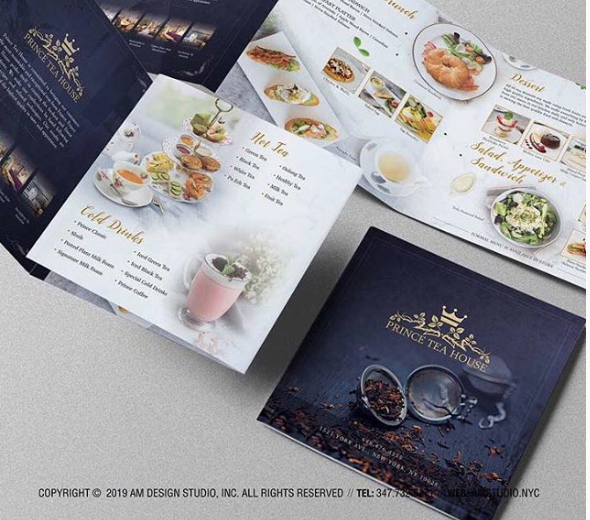 If you’re looking for an expert marketing and printing team to help create pamphlets, contact AM Design Studio in Flushing, Queens. The business offers digital services such as website design, photography, image editing, printing, and graphic design. Call (347) 732-9271 for more information on their budget-friendly options and to learn how the design process works. Visit their website for a list of services.